SSD’s or Solid State Drives to give them their full title are relatively new devices that store computer data in non-volatile memory chips and contain no moving parts – simply imagine a memory stick that plugs into your computer’s USB port but with a much larger storage capacity and you have in essence what an SSD actually is. SSD’s are very different to their conventional hard disk drive (HDD) counterparts that use magnetically coated rotating platters to hold data. Compared to hard drives, SSDs are typically less prone to physical damage and are far more resilient. It’s important to note however, that this does not mean they are indestructible. SSD’s still fail at rates similar to HDD’s. but in different ways. Popular brands of SSD hard disk drive are manufactured by Samsung, Crucial, Kingston and Sandisk. There is not one type of SSD that is better than all the rest – all SSD’s suffer hard drive problems and fail from time to time, Data Clinic recover the data from typically 5-10 SSD hard disk drives per week and so have a great deal of knowledge and experience in SSD faults and problems. 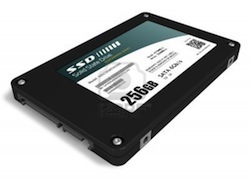 SSD data recovery is possible and but is highly specialised. We recommend sending the drive to us as we have a good success rate with SSD’s, but of course it’s on a case by case basis and we would need to diagnose the exact problem with your hard drive before knowing whether a recovery of data is possible. 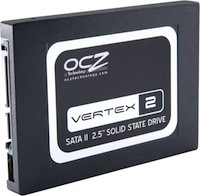 SSD manufacturer OCZ produced a drive called the Vertex 2. This drive had bugs in it’s microprogramming causing it to hibernate in certain circumstances. It was not possible to wake the drive from hibernation – and to this day there is no data recovery fix for this problem. Some MacBook Air computers manufactured around the beginning of 2013 also have SSD hard drive issues. Their drives aren’t Vertex 2’s but it’s the same data loss story. If you’ve got one of these with a failed hard drive you’ll need to contact us to reprogram it and get the data off. It you don’t know whether your MacBook contains a faulty drive or not you can download this piece of software from Apple that checks your drive for you.